Steve Morison bagged a late winner as Millwall climbed out of the Sky Bet Championship relegation zone with a comeback 2-1 win over Wigan at the Den. The visitors took the lead on the stroke of half-time through a Jed Wallace own goal, but the game swung on the hour mark, when two penalties in as many minutes completely altered the momentum. Moments after Josh Windass had missed his chance to make it 2-0 from the spot, the home side hit back and Shaun Williams made them pay the penalty. From then on there was only one winner, and the hosts got the decisive goal inside the final 10 minutes, as Morison rounded off an excellent move to inflict a fifth straight away defeat on Wigan. 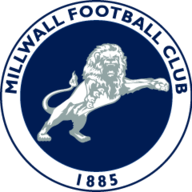 Millwall had started the game the better side but rarely created clear-cut chances before the break. 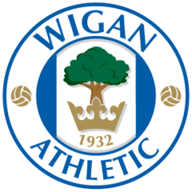 Wigan appeared happy to soak up the pressure, playing on the break, but did create a few chances. Windass fired across the face of goal from a tight angle, while Reece James drilled a free-kick just wide and Callum Connolly headed over from a corner. Still it was against the run of play when the visitors took the lead in the final seconds of first-half stoppage time - indeed, Wigan had not even managed a shot on target by the time they went ahead. And they didn't need one for the opener either, as the unlucky Wallace diverted Lee Evans' free-kick beyond Ben Amos from the edge of the box. 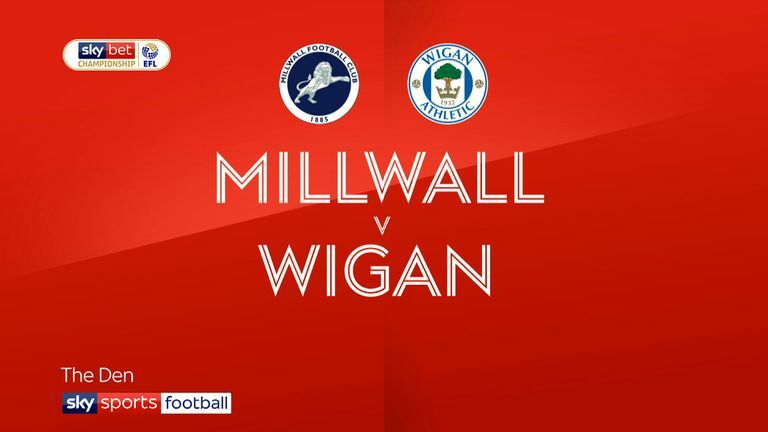 It was Wigan's first away goal since August, and they should have doubled their lead just four minutes after the break, when dreadful Millwall defending allowed James Vaughan a clear run on goal, but the striker's heavy touch, and some brave goalkeeping from Amos, meant the home side remained within striking distance. The game then spun on its head inside a minute. When Vaughan went down under the challenge of Mahlon Romeo in the box, referee James Linington pointed to the spot but Windass failed to capitalise, blazing well over the bar. Barely 60 seconds later and the Lions had a spot-kick of their own, James bundling Aiden O'Brien to the ground. Williams showed Windass how it should be done, firing into the top corner. The hosts seemed re-energised and their pressure was finally rewarded in the 82nd minute, when intricate play from Lee Gregory and Shane Ferguson resulted in the simplest of tap-ins for Morison, and all three points. It could have been a greater margin in the end, with Gregory denied in the final minute by a brave block, but it was enough for Millwall to record their second consecutive home win and climb out of the bottom three. Neil Harris: "Quite possibly that's a turning point. Only time will tell. In this game you need luck, you need key moments, key decisions from referees. "Big moments from players. The two penalties, they could be. We've been on a bad run, had horrendous luck, but we've now got seven points from four games, which is a huge return for this club, two home wins in a row." Paul Cook: "Ninety minutes of football can be summed up in a minute, can't it? That's how football can be. You have to say we scored totally against the run of play, first half. I thought Millwall were the better side. I thought they were excellent first half. "Millwall deserved something out of the game for sure. If we'd have gone 2-0 up it would have been very unjust on them. But that's football. And then 10 minutes later they've won the game. So you've just got to pat Millwall on the back and say well done."